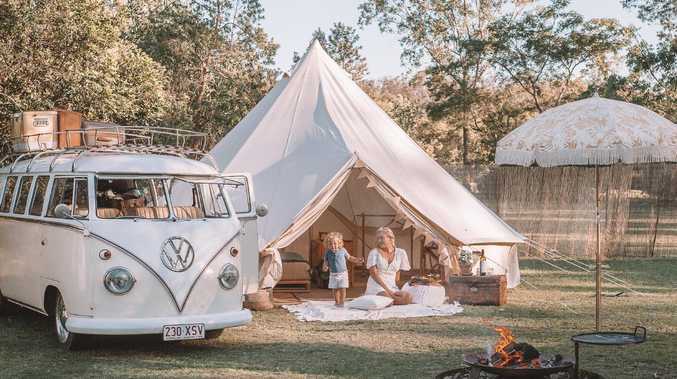 The Poole family is part of the new generation of Australian campers. Voracious travellers Kirianna and Lachlan Poole have notched up hundreds of stamps in their passports for work and leisure, but the couple has now set themselves a new challenge of showing two-year-old son Riley what's in his Aussie backyard. "While travelling overseas was rewarding, we also found a huge amount of appreciation for our homes," Kirianna said. "We met people abroad who had done the lap of both our countries, yet we hadn't. 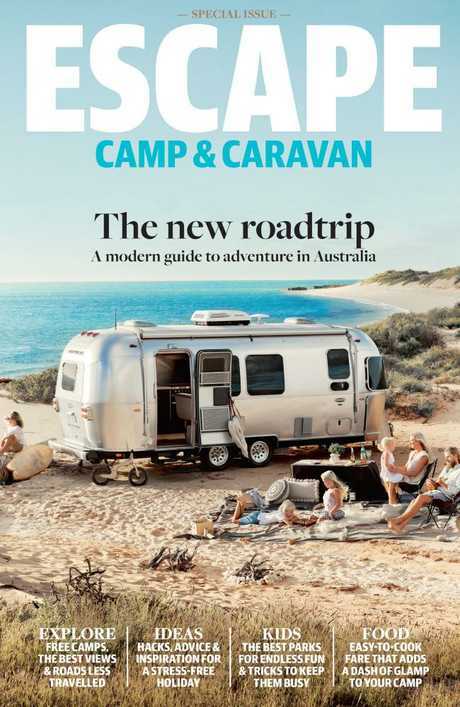 The Pooles’ story appears in the Escape Camp & Caravan edition, out now. RRP $9.95. The Pooles are based in Tokyo, but in between Lachlan's work stints, they fly back to Australia to hit the road in four to eight week bursts. 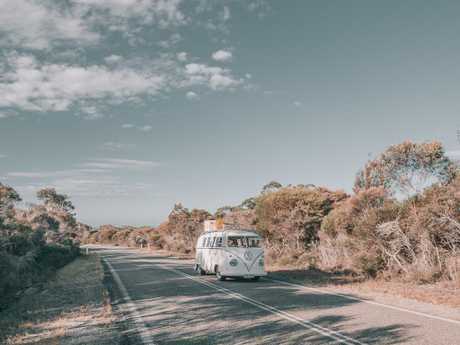 So far they've explored the Great Ocean Road, Tasmania, the Barossa, crossed the Nullarbor and made their way part way up the West Australian coast, where Kombi Izzie now awaits their return for their next trip. Despite her age, Kirianna said Izzie had endured the kilometres well, with only a few minor mishaps along the way. The Pooles put in a lot of hard work to get her up to scratch before they set off, transforming her from a wedding cart to their home on the road, complete with kitchenette, rock and roll bed and an anchor point engineered in for Riley's car seat. A fun day picnicking at Lucky Bay. "He has become an adaptable little guy," Kirianna said. "With each milestone our tricks and tips have changed. In the beginning it was all about tackling sleep and jetlag. We mostly time our drives around his nap time." Natures Window, Kalbarri National Park, WA. They keep a "busy bag" full of activities and an iPad on hand for entertainment and loads of snacks to survive the drive. 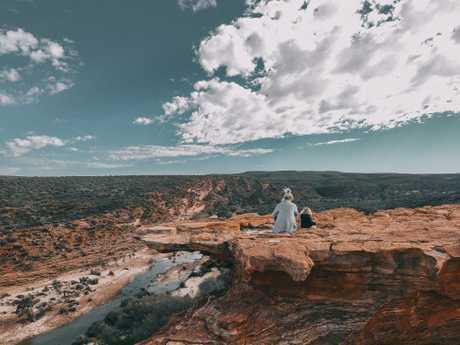 And while they admit camping with an under two-year-old can be challenging - particularly "trying to keep them safe from cliffs, cars with campers and snakes" - Kirianna and Lachlan wouldn't have it any other way. Big day on the road from Geraldton to Kalbarri. "We love creating memorable moments," Kirianna said. 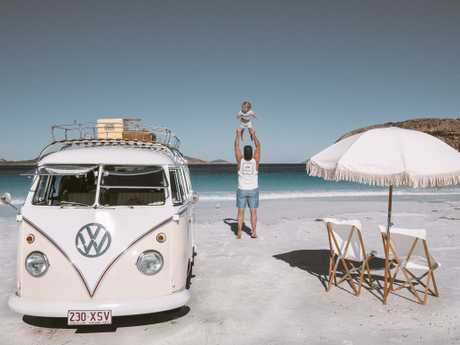 "We as parents can miss out on so much, so we found travelling meant we could soak up all these developmental years and build a strong bond while seeing the world." "We plan to continue through Western Australia and onto the Northern Territory," Kirianna said. "We haven't put ourselves under any pressure but would love to make it all the way around. 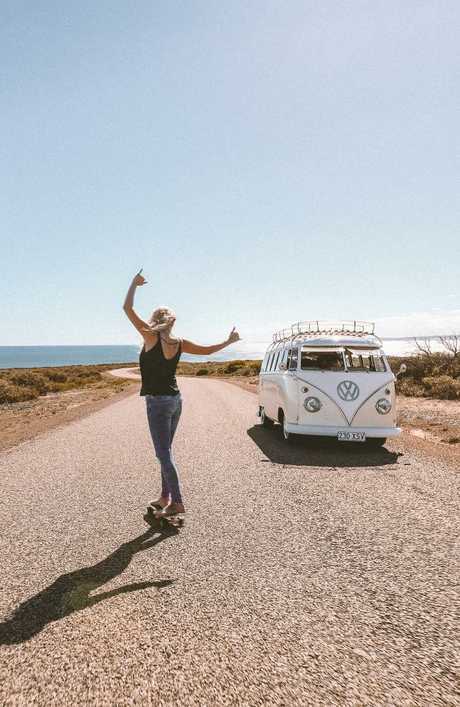 "We hope to do at least another year of bopping around in the Kombi or overseas." 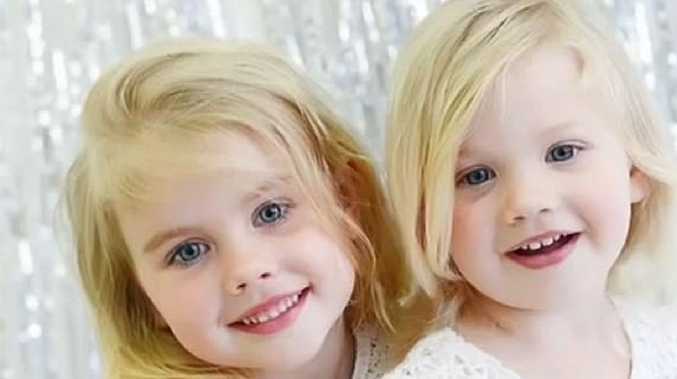 They also have high hopes of getting Izzie across the ocean for a lap of Kirianna's home, New Zealand. 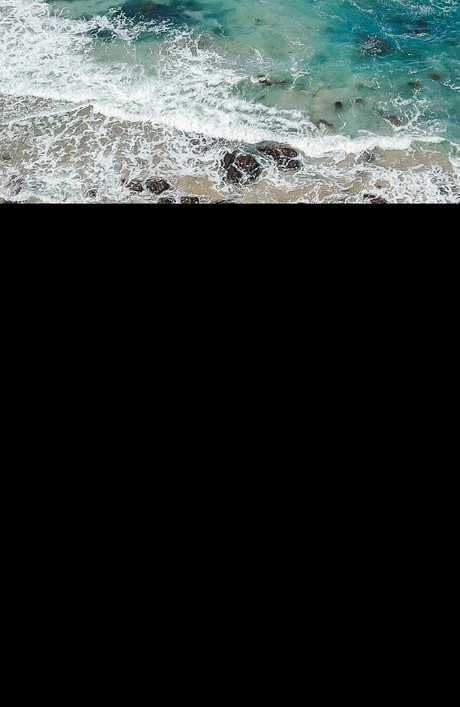 MUST SEE: Lachlan fell in love with the water and seclusion of Boat Harbour Beach in Tasmania. Kirianna can't go past Esperance in WA, for it stunning beaches and friendly locals. TOP TIP: Buy locally - part of the fun is tasting and buying local produce. And don't forget the insect repellent.